Happy Monday! The weekend flew by as always, but it was a blast. On Friday night, Shelby and I met the French Connection girls, Kristi, Lauren, and Heather, at 518 West in downtown Raleigh, and we had the best time. After just a few minutes, it felt like we'd known each other for years. We talked blogging, French Connection, fashion, and just life, and had the best dinner, dessert, and drinks. 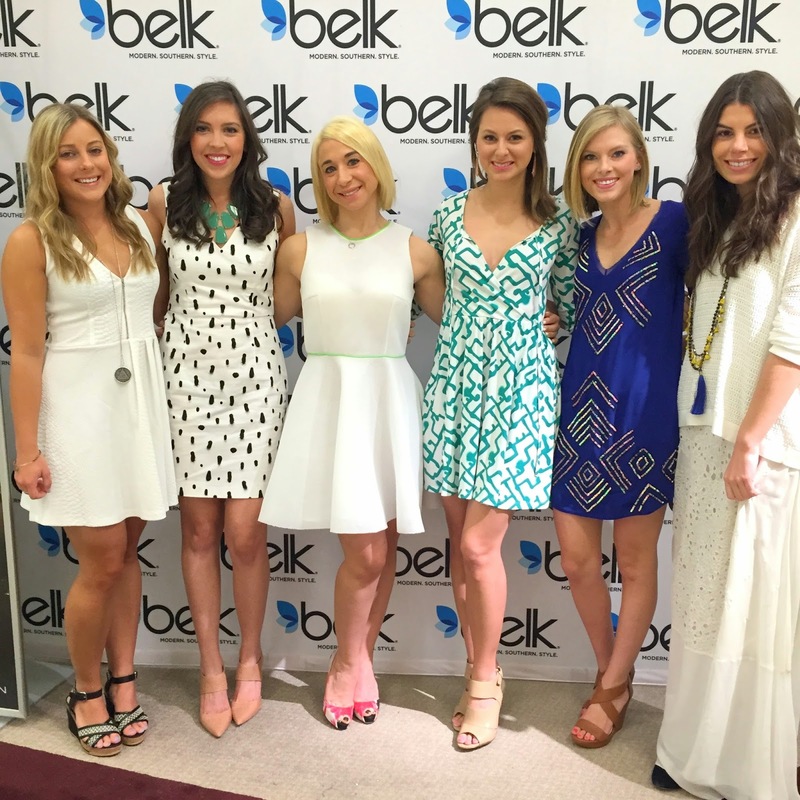 On Saturday morning, I headed to Belk for the event, where Emily joined us. 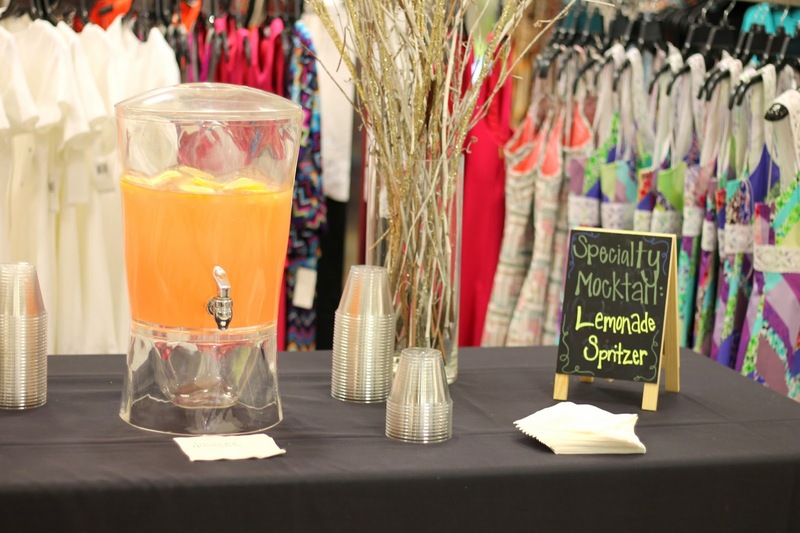 There were appetizers and mocktails, and we had a great time trying on French Connection pieces and offering style advice to shoppers. I found a million more FC pieces that I "need," so stay tuned for those. I picked this as one of my dress options because I loved the print. It's such a versatile dress, too; I chose to go with a sexier v-neck look, but it also has ties for a more reserved look. If the weather is chilly, I'm even thinking of wearing this as my Easter dress (not quite as low cut, of course). This dress is so comfy and fun all at once, and I can't wait to wear it again. Oh, and it has pockets...need I say more. I found this sweater, which Kristi was wearing over a maxi, and paired it with this fab light lavender leather skirt, and I fell in love. You may just see this look again. I'm absolutely obsessed with this romper! 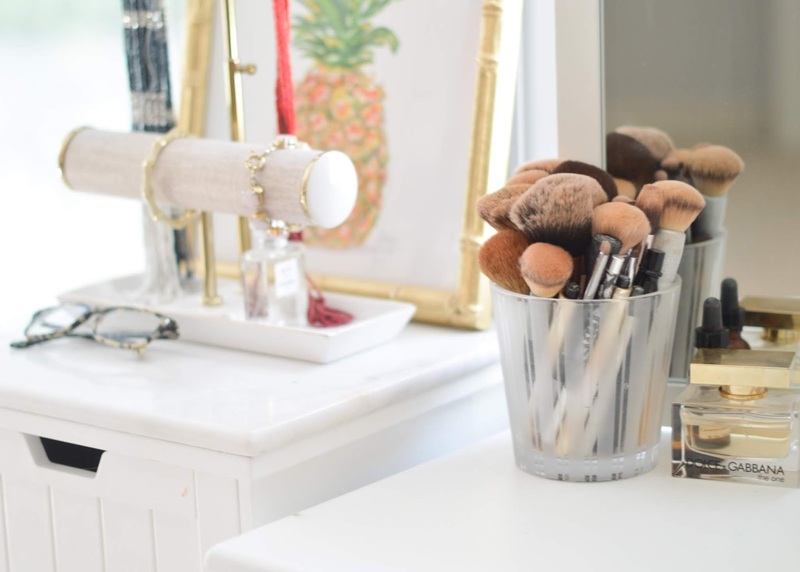 Such a fun look, but so structured, too. I'd love to pair it with a fab printed heel.